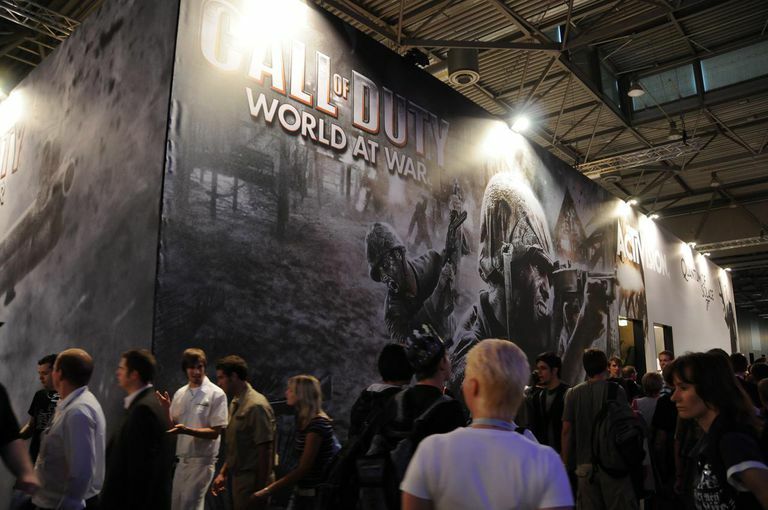 Call of Duty: World at War is the fifth game in the Call of Duty first-person shooter video game series. There are currently no known working cheat codes for Call of Duty: World at War on the PlayStation 3 video game system. Instead, cheats are activated by collecting Death Cards within the game. There are two game play modes that can be unlocked in Call of Duty: World at War — Veteran mode and Zombie mode. Reach level 32 to unlock Veteran mode. Veteran mode has much tougher enemies for your co-op pleasure. Successfully complete the campaign to unlock Zombie mode. After you complete the game (on any difficulty) the credits will roll and the mini-game, called Natch der Untoten, begins. The term means "night of the undead." Endless waves of Zombies attack. The following gameplay tips will help you in your journey throughout Call of Duty: World at War. These tips can be used for any version of the game and have been provided by Activision. You can only carry two guns at a time so make sure you maximize your arsenal. Always switch weapons and pay attention to what you're carrying before you pick up a new one. You don't want to lose that Flamethrower! If you fail to shoot down a charging enemy, you can counter the Banzai attack with a melee move. This must be performed quickly before the on-screen prompt disappears or it's game over! To prevent enemies from throwing back your grenades, you should "cook" them before tossing them by holding down the Grenade button for a few seconds (just a few!) before tossing it. Don't hold a live grenade too long or it'll blow up in your hand. Cooking is not recommended when you're throwing back an enemy grenade. Secret Death Cards can be found on certain levels in the game. Death Cards can be used in co-op mode to create special "cheat" effects that add different twists to the game. Look for Death Cards on helmets propped up by rifles stuck in the ground (like makeshift graves). Not sure what to do next? When you hear the name "Miller" or "Demitri" that's you, soldier! Roebuck or Sullivan will sometimes instruct you to cover fire, throw a smoke grenade, etc. — so pay attention. For a little fun Call of Duty: World at War includes a mini-game as an unlockable bonus if you complete the Solo Campaign. Start with a pistol and work your way up, as you scramble to defend your cabin from a post-war zombie invasion. Earn points to purchase weapons, upgrades, cabin space, and related assets. With each round the zombies become faster and more aggressive, increasing the sense of panic as you try to survive as the last human standing. The fun factor multiplies in co-op mode when you team up with others and tackle the never-ending frenzy. Work together or horde points in competitive play. Tip: You won't get far alone. Featuring arcade-style pickups, bonuses, and scoring system, Natch der Untoten is actually a game within a game that involves plenty of strategy and skill. It's an addictive challenge that rounds out the most feature-packed COD game to date.